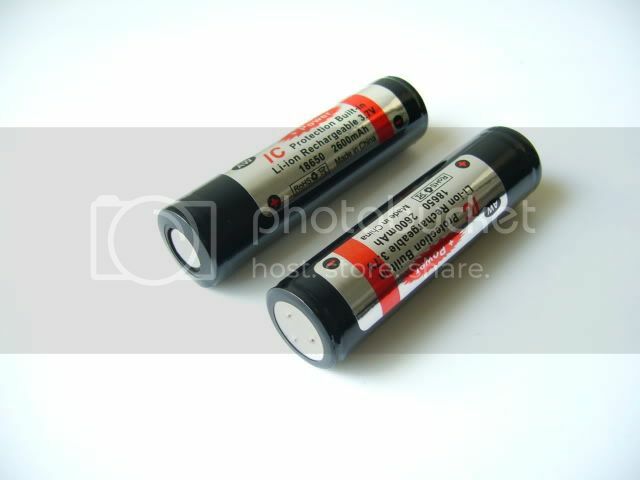 I have 2 brand new, never used AW Protected 18650 2600mAh batteries up for sale. These are perfect for our power hungry 445nm diodes. Here are the specs. on these batteries. Don't store your Li-batteries below 3.8V. Store them at a full charge and they will last for years. These are for sale for $15.50 shipped. PM me your order and I will send you my PayPal. $0.50 for each aditional cell ??! I guess I should have stated that better .50 extra for shipping. Sorry about that. Edit: Its for the added weight to the package. Is everyone just out of cash right now or am I missing something? I want 2, but I wouldn't be able to buy them for another week or so. Alright, I will hold two of them for you, just PM when your ready to buy. Sorry, never mind I don't want to buy the batteries. A friend offered me some for free, and you can't beat free. Bump for price drop, I'm now almost at cost. Best and safest 18650 (PCB and thermal cut off protection), if they are really new it's a bargain, they cost $14.75 each (without shipping) directly from china. To be informative the only thing that need to be added is that they have no top button (on the + side), it is usually not an issue with most devices and spare precious space when used in pair, but sometimes (rarely) it might not connect if the device has not a bump/spring on its + side. Yes they really are new never charged by me, but I have checked to make sure they are at a shelf stable voltage. I keep an assortment of magnets just for this purpose. I sent My PM I want 2...You don't have a good charger do You? I see these have a high discharge rate, so does that mean hooking directly up to a140 diode would be a bad idea? But, it would be good for a flexdrive or microboost because of the high discharge, right? I'm not an expert, so don't trust my opinion alone, but I don't think the discharge rate would matter when using it in a direct-drive laser. Direct drive works because the laser diode only 'consumes' a certain current when applied a fixed voltage. I believe you could hook up any 4V-5V power supply to the laser diode and it would 'consume' the corresponding current. Normally constant voltage power supplies aren't used because thermal runaway can occur (as diode heats up, it consumes more current at the same voltage which in turn causes it to heat up more, and the cycle continues).